These tshirts were created for our annual Family Camp down at the Lake of the Ozarks. 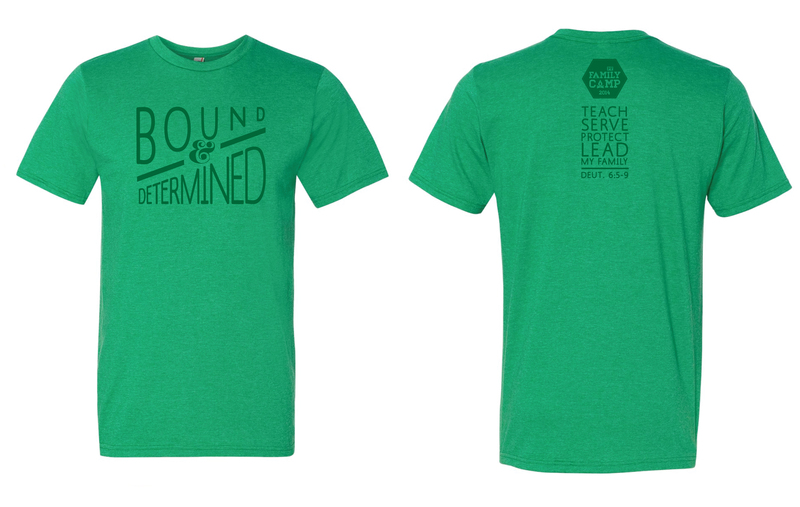 This year’s theme was “Bound & Determined” (to teach, serve, protect & lead our families). The design was printed on a heather kelly green shirt and they turned out awesome.